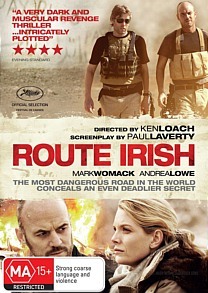 Route Irish DVD Review Well worth the watch and a movie that I have no problem recommending. 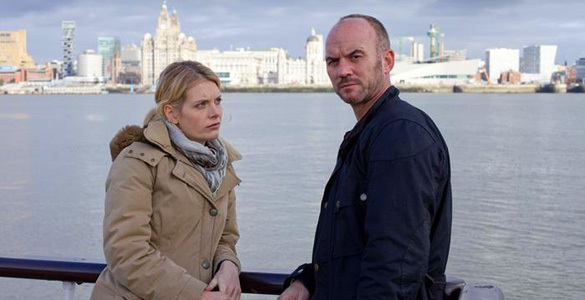 This sensational political thriller takes us from the sandswept deserts of Iraq to the streets of Liverpool where loyalties are questioned as are motives as we get taken deep into a story where nothing is quite as it seems. Fergus is the primary character in the movie who has to unravel a mystery when the story regarding the death of his mate takes a bizarre twist when messages left on both the friend's phone and a phone of an Iraqi national point to something a great deal more terrible than the "honourable" work being taken on by the occupying mercenary forces. Where we really get into the story is the point that the investigation that Fergus is undertaking brings the trouble that he thought left in Iraq with the friend, Frankie. As the parties involved in the crime become aware of their threat of discovery, they pursue Fergus on his home turf turning suburbia into a battleground. I liked the way that this story was told. The pacing was excellent and the acting was second to none. The quality of the audio and video was good and really brought the viewer into the story. It was grim, gritty and extremely realistic, making for some really good viewing. Well worth the watch and a movie that I have no problem recommending.